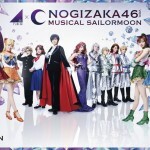 This entry was posted in Sailor Moon Musicals and tagged Nogizaka46, Nogizaka46 x Sailor Moon musical, Sailor Moon Manga Act 4, Tokyo by Adam. Bookmark the permalink. 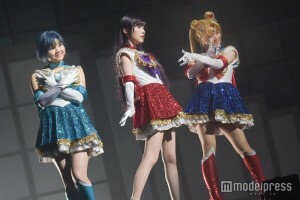 Why are the male characters (Tux’, Shitennou, Amazon Trio…) always played by women in Sailor Moon musicals? Are there any reasons? 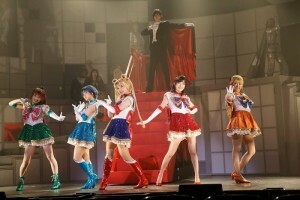 I’m guessing it’s meant to be like the Takarazuka Revue, an all-female song and dance troupe. 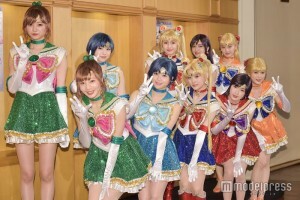 Naoko Takeuchi is a huge fan of them. 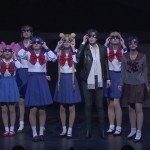 Former Takarazuka performers have actually played various roles throughout the recent musicals. The original musical specials (which ran from ’93 to ’05) have both male and female performers. Personally I prefer the ones with both males and females. 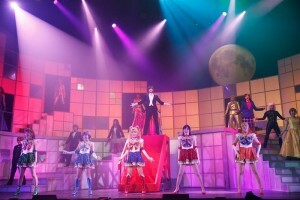 It was nice and a novelty to see it done this way, but frankly, there are some notes a woman’s voice can’t hit the way a man can in songs for Tuxedo Mask. I’m not against it, I just wish they’d switch back every now and then. Thank you for your views, Rem. 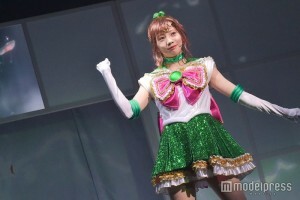 I thought it was because the male characters in Sailor Moon being bishounen, it was therefore more convenient to have actresses play them instead of actors. 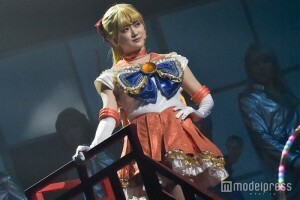 But since some Japanese men are androgynous (I think of the male musicians playing in J-Music bands), I felt my reasoning was somehow wrong. 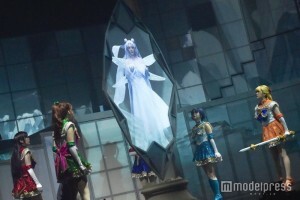 I agree with Saintfighteraqua: I prefer musicals with men and women, because it creates vocal variety. 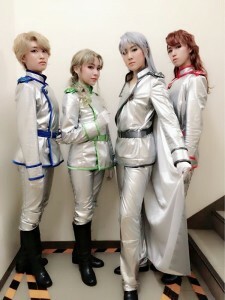 Takarazuka is the inspiration the went to indeed. 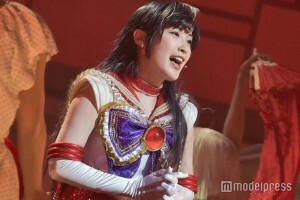 Naoko mentioned that even Haruka was inspired by a Takarazuka actress. I always remember the concept but sometimes forget the name! Interesting! I really didn’t know that. Thank you! 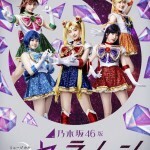 By the end of June, will we get information of Sailor Moon Crystal Season 4? I need more news since it’s the first day of summer..
We won’t get any news until Usagi’s birthday. That is if we get news at all. I like their skirts! Wish I had one in my size. Ah well! They should make Sailor Moon themed kilts for us guys. Haha! I love that phrase, Joseph, it’s so priceless! You made my day! You can even do better by saying “Moon Cosmic Bagpipe” :D. And by the way, guys, don’t forget to put underpants under your kilt, you know, for decency . But if we wear underpants we can’t be true Scotsmen! We’ll just have to censor any up kilt shots that may happen. Especially for the dubs! Dearest Aurélia, I’ll have you know that I *did* think of adding “Cosmic” to “Moon Bagpipe!” … The problem is I only thought of it after I posted, and there’s no edit function, at least none that I’m aware of. But I side with AaintFighterAqua: sub or dub, rain or shine, thorough sanity or barking madness, we must stick true to our heritage for the sake of our kilts. *looks at the clock* I should go to sleep. Another reason why I wish I could edit: I misspelled Saint’s username. I made a typo when addressing them, for pity’s sake! Wow, some comrade Sailor Guardian fan I turned out to be. Forgive me. I assure you, SaintFighterAqua: you are *not* an AintFighterAqua. Knowing you as a perfectionist, my dear Joseph, I suspected that the lack of “cosmic” or “crystal” (or of whatever word you want) in your phrase was indeed unlike you . As for the underpants: you both are right, throw them away, and be true Scotsmen of the Moon! Just kidding, it’s fine and made me chuckle too. 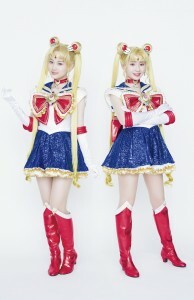 And the Sailor Moon light novel is out today. What does that mean? Like a program? 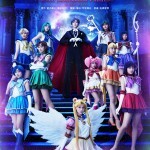 I think they released a novelization of Sailor Moon in Japan, it’s called Pretty Guardian Sailor Moon #1: The Chosen Warrior” by Ikeda Miyoko. I hope we get an English translation. I’m sure miss dream will release it asap, for these who cannot wait official translation. It i actually being released next week. I wonder if this adaptation going to surprise with changes and lot point explorations, considering the medium. It is, however a light novel, so I don’t expect things to get too deep. I’ve heard it’s more just a kid’s adaptation, so I doubt we’ll get many if any insights. When i first heard of it I was really hoping we’d see like a deep exploration of Sailor Moon lore, maybe hundreds of pages of backstory. Ah okay. I saw some posts about this but couldn’t figure out what it was. Will check it out! 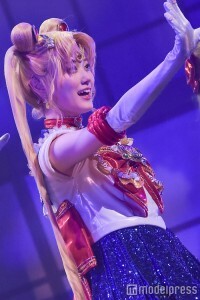 Less than a week till Usagi’s birthday. Fingers crossed for news. I dont mind an all women cast, but I definitely prefer the male actors!!! 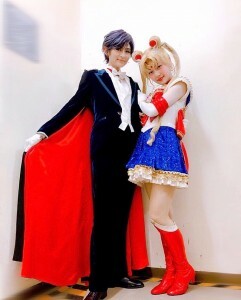 Yu Shirota as Tuxedo Mask was my thirstiest of thirst traps. 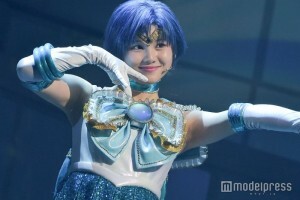 Of course the same can be said about the females who play males… Ono Hikari as Prince Demande woop woop… (tbh I didnt care for the last Tuxedo Mask, but I know a lot of fans clamored for her). At the end of the day, if the casting is right, it doesnt matter male or female. But it should be open to male and female, shouldnt just be forced all female or all male, should be open for all and whoever deserves it most should get it.